We are dedicated Social Investment Managers. Our purpose is to help you redefine your reach. We identify social causes that need your support, profile them for you, help you build a portfolio, offer easy ways to give and track your investment all the way through. We ensure that your support makes a measurable difference to the socially and economically deprived. 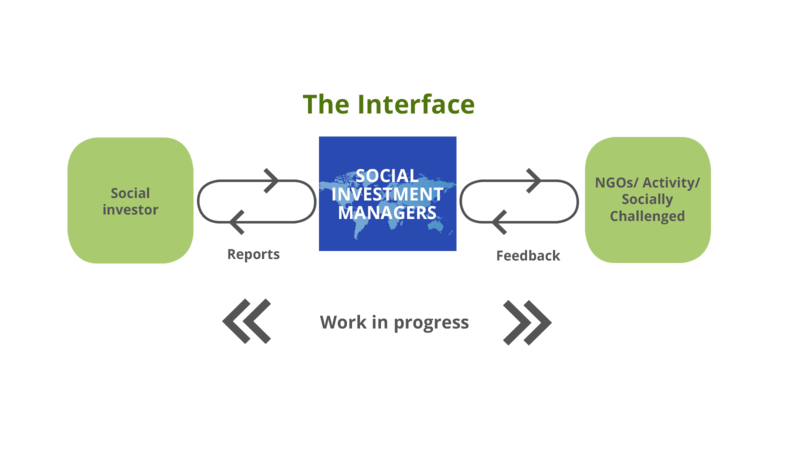 The Interface is a pioneering endeavor to serve the need for social investment management. Launched in 2006,The Interface supports amongst other categories initiatives in education, health, environment and women’s empowerment. We have a tested reporting system to monitor the progress of the activity and report back to the donor. Apart from the systems that we have in place, the reporting can be customized to suit the donor as well. This is a new drive to improve communication skills and get students of the non-elite schools (aided and Government) to be competitive from a young age to face the world confidently, as they prepare to brush shoulders with the fortunate youngsters. We identified four streams as a pilot project. A pool of 30 children from Grades 6, 7, 8 - were selected, and they were given intensive training but in a fun way. This was done for two months, by volunteers who were trained to impart these streams to the children, At the end of two months, we found that there was an improvement in 52% of the children. We have now moved this project to a digital learning mode, along with Rotary Club and British Council. A special program has been devised by Unlearn, for this purpose. These 6 schools are part of the 25 schools where it has been rolled out. The middle and upper class of people always have a variety of household and personal things that they want to give away/dispose, because they have outlived their use for a variety of reasons. Dhaan will help channelize these reach a recipient who would make use of it for some length of time. Dhaan volunteers will collect these items in a van sent to different areas in the city on specific earmarked days, from the donors, who will have to donate them in a neatly packed condition. These are then sent to different NGO’s who help resell them to those who would like to own them for a further length of time. The revenue generated from such a sale is used by the concerned NGO for their own activities.